To Mazda 6 or not to Mazda 6? Well, I've decided that instead of pouring a whole bunch of money into my E30, I'm going to just sell it and buy an actually new car. The question comes down to...what new car? 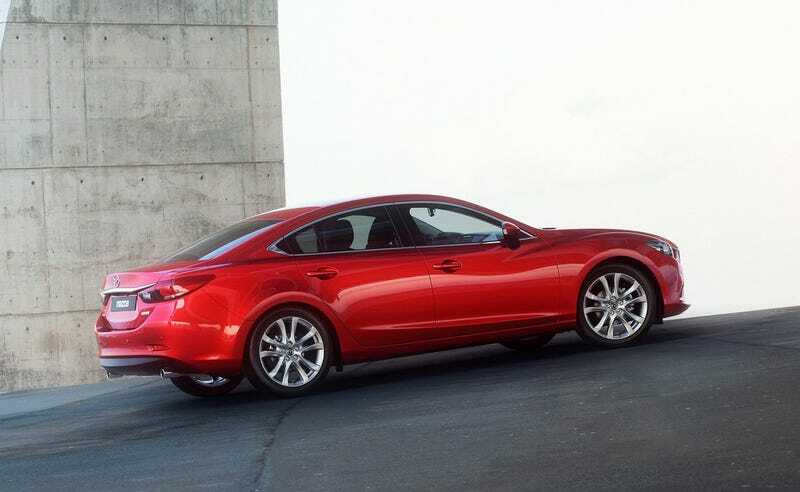 I test drove the 2014 Mazda 6 today, after reading the Jalopnik review of it, and I rather liked it. I also drove a Jaguar XF, because it was there and gorgeous, but I'm afraid of it's electronics and lack of warranty. I also consider other midsized sedans, such as the Ford Fusion, certain hatches like the Focus ST, and maybe a wagon of suitable niceness in the 30k range. But, here's my quandary. The 335d is right in this price range too, but so hard to find, and also not new. Warranty is a major selling point, and it probably wouldn't have one, aside from the possibility of a CPO if I'm lucky. What should I do, great, all knowing Oppo? To Fiat or Not to Fiat?